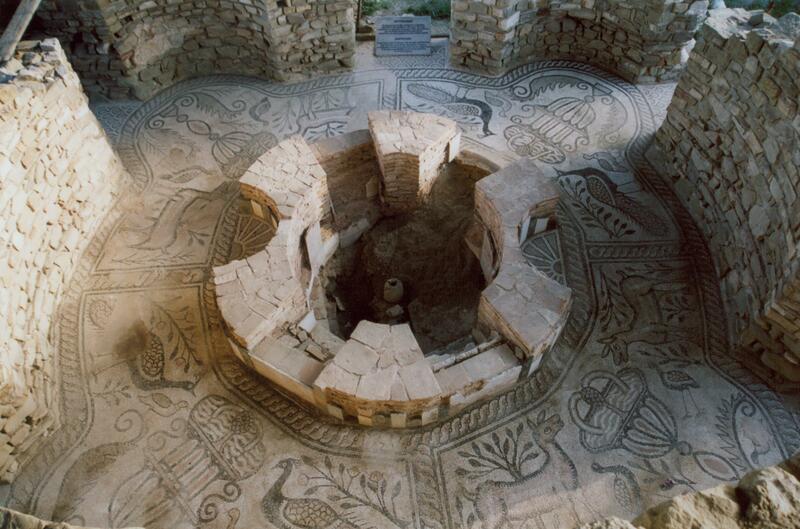 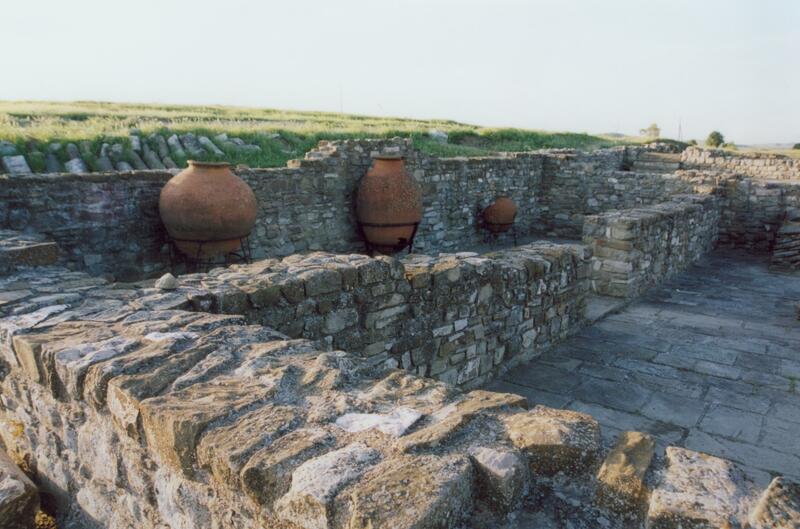 Located near to Highway E-75 just north of the turn-off for Negotino, is one of Macedonia’s most famous archaeological sites. 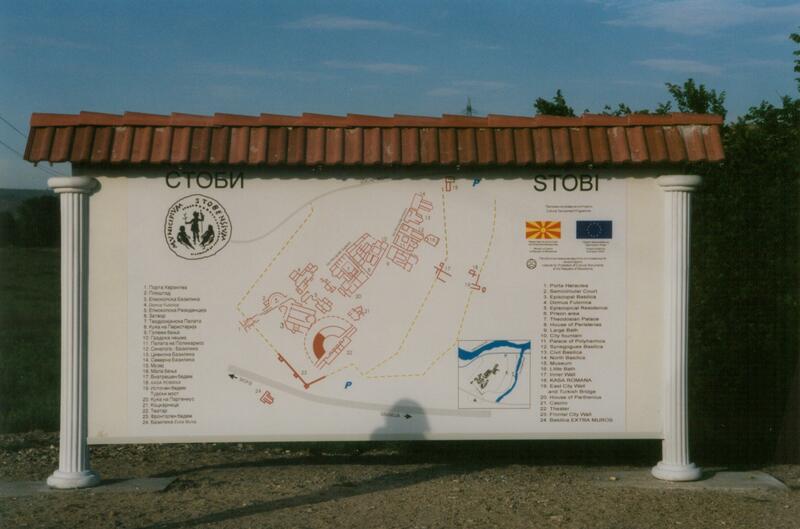 Stobi was created in a very strategic location, militarily and commercially, where the Crna Reka (Black River) joins the Vardar River. 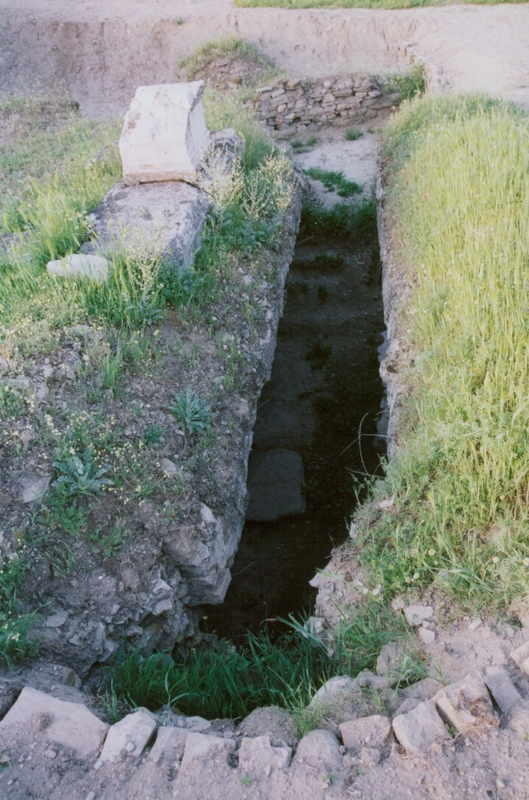 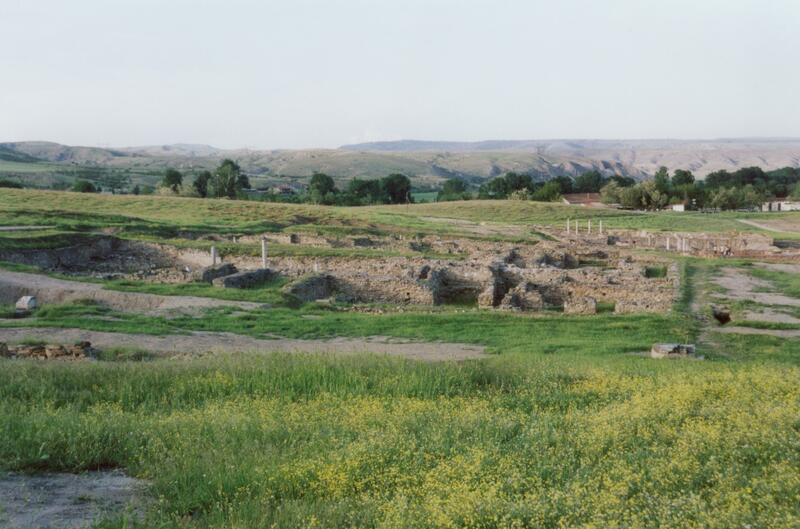 Stobi is first mentioned in documents in 197 BC by Livius in the Roman period but work by archaeologists gives evidence dating back a few centuries earlier into the Hellenistic period. 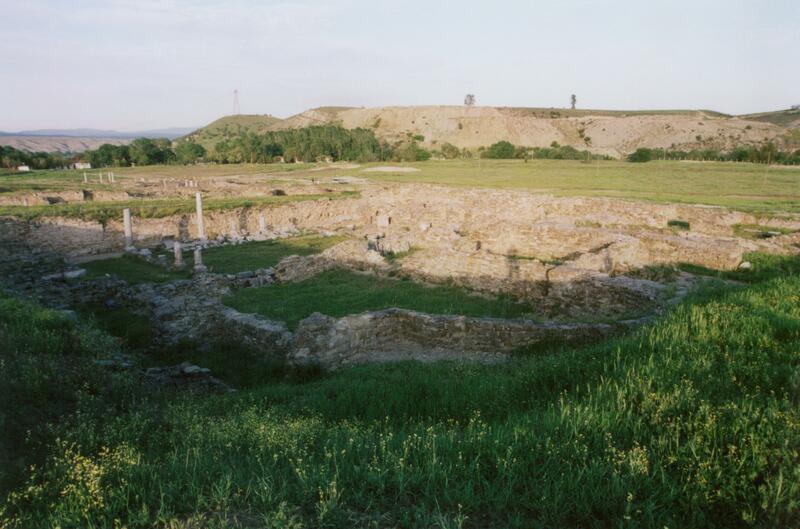 In 168 BC, the Romans defeated Perseus and twenty years later in 148 BC Macedonia became a Roman province and Stobi became the capital of that province. 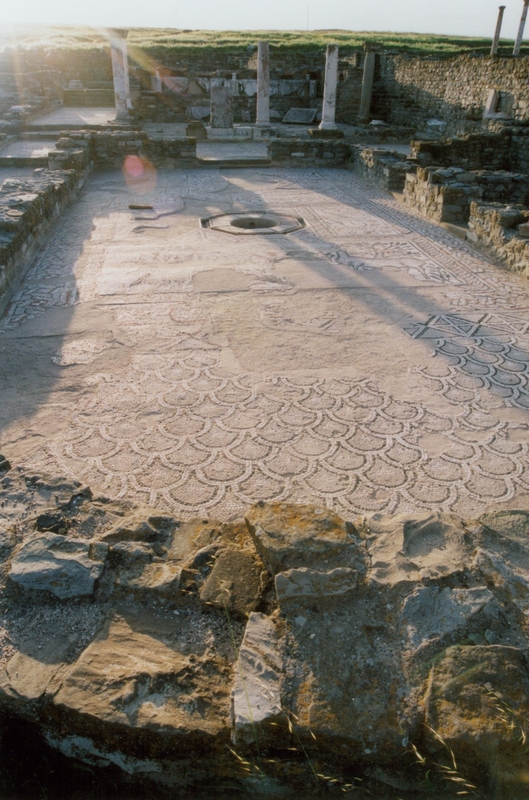 Twenty-three Slavic graves dating back to the 9th Century were discovered in the southern part of the North Basilica. 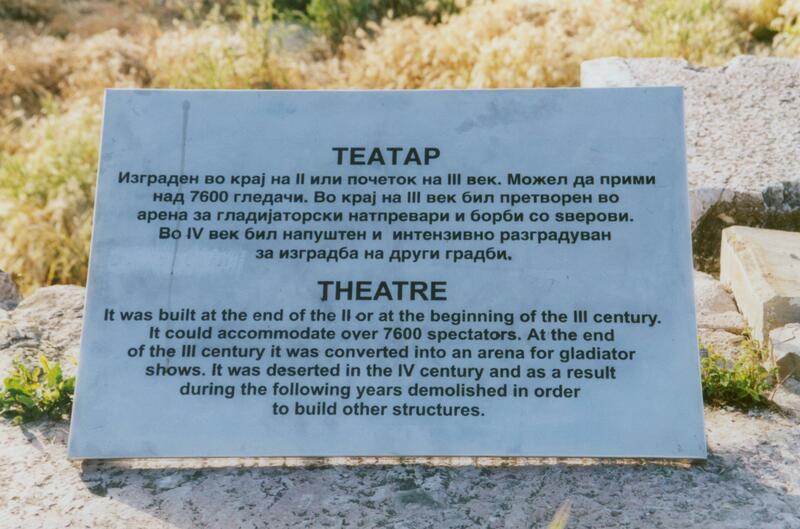 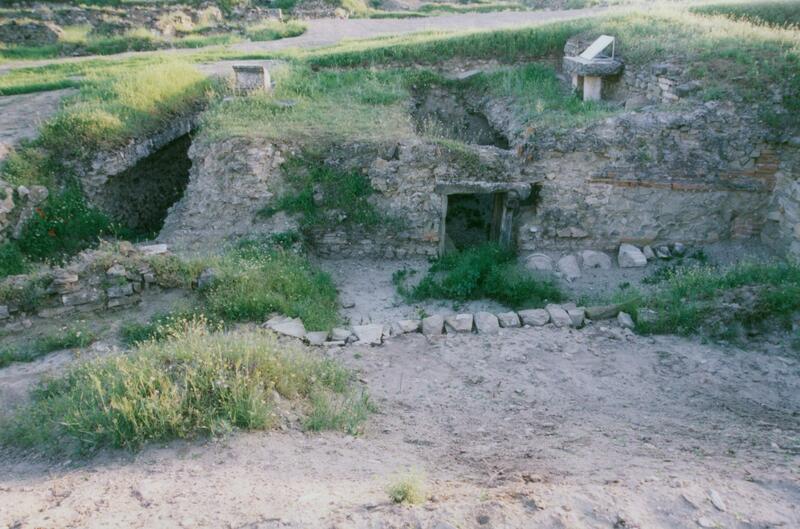 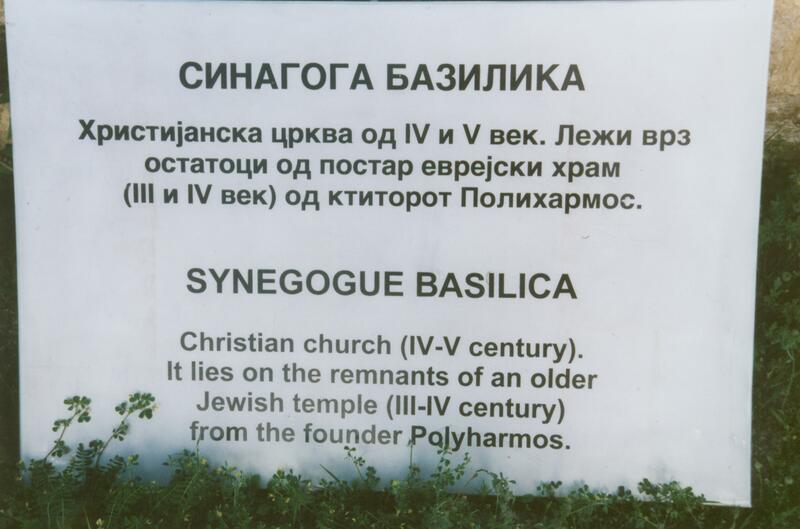 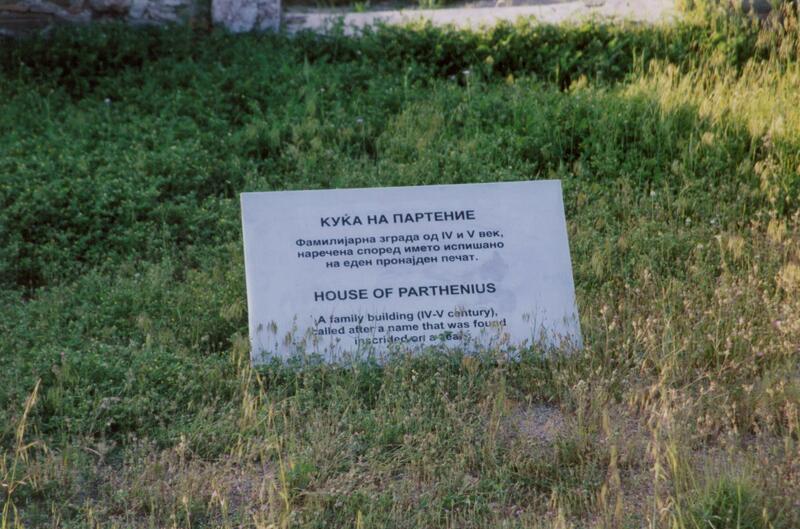 The basilicas located here were built in the 4th & 5th Centuries on top of other ancient buildings and synagogues. 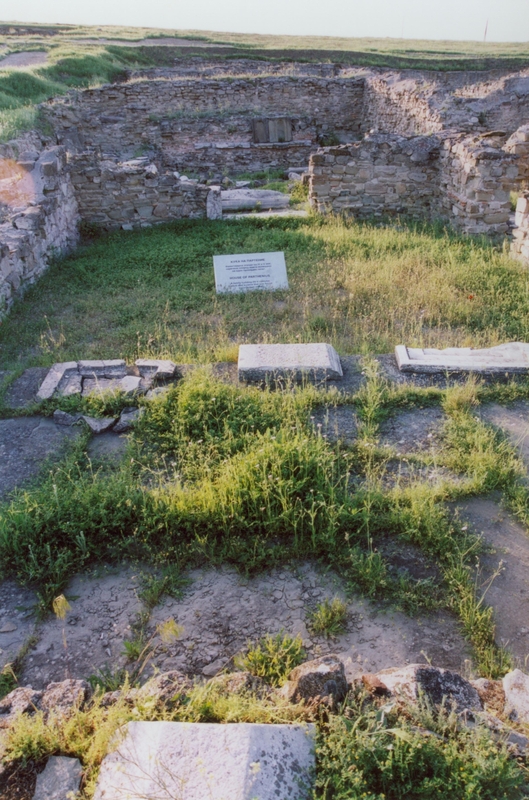 During this time, Stobi served as an important seat in the Episcopal Church. 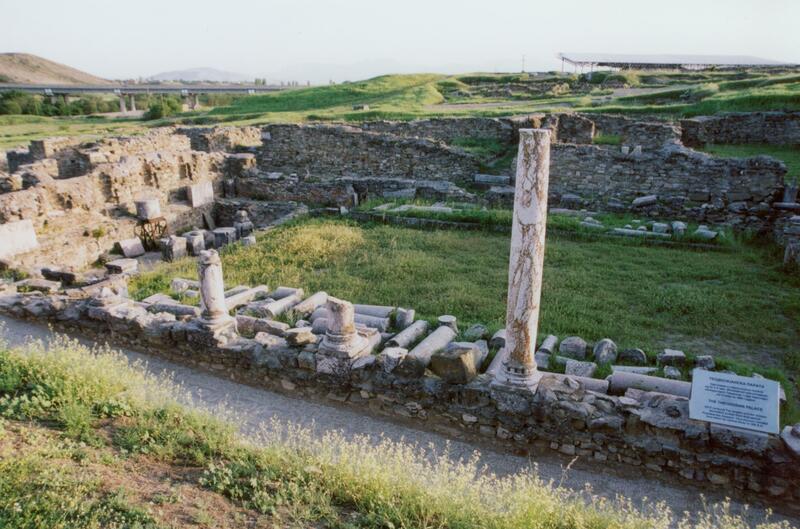 Due to its great location and by serving as crossroads between two major trade routes, was very prosperous during the 3rd – 5th Centuries. 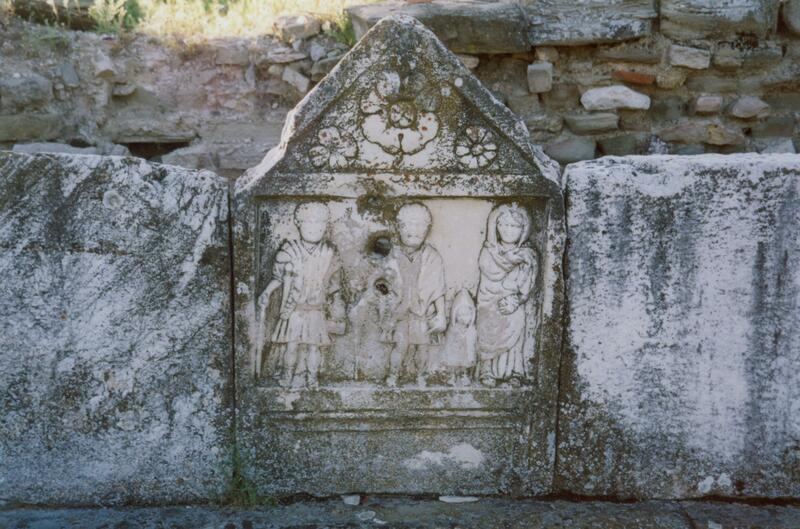 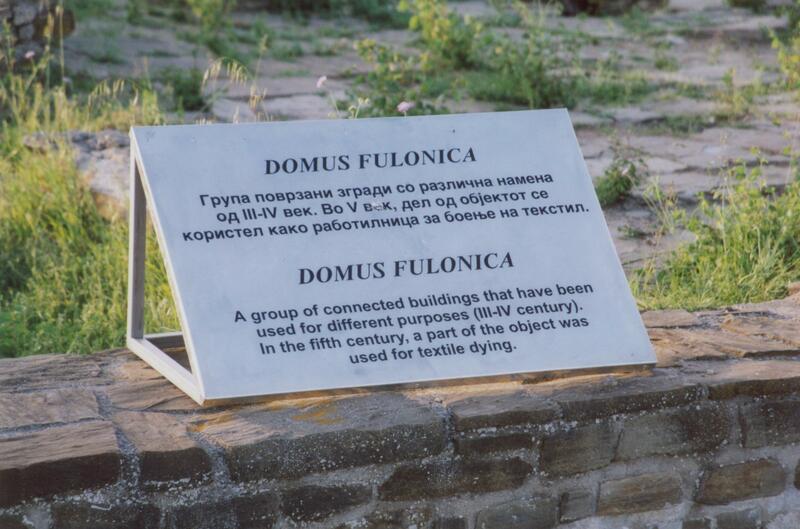 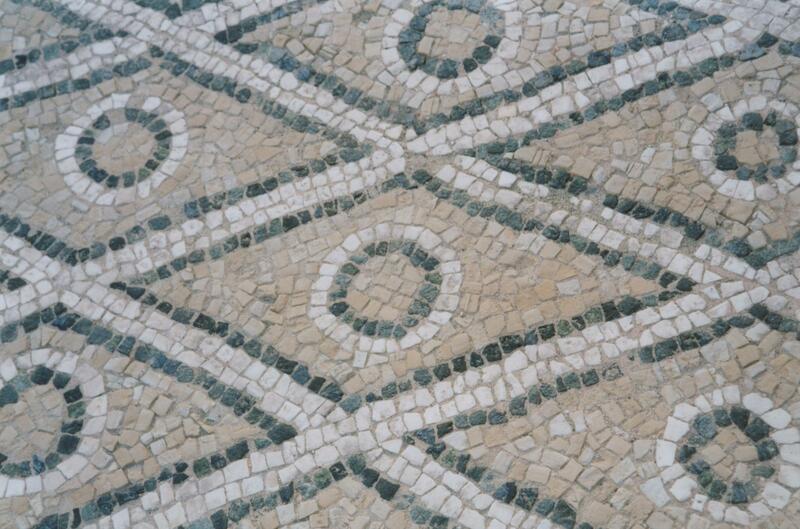 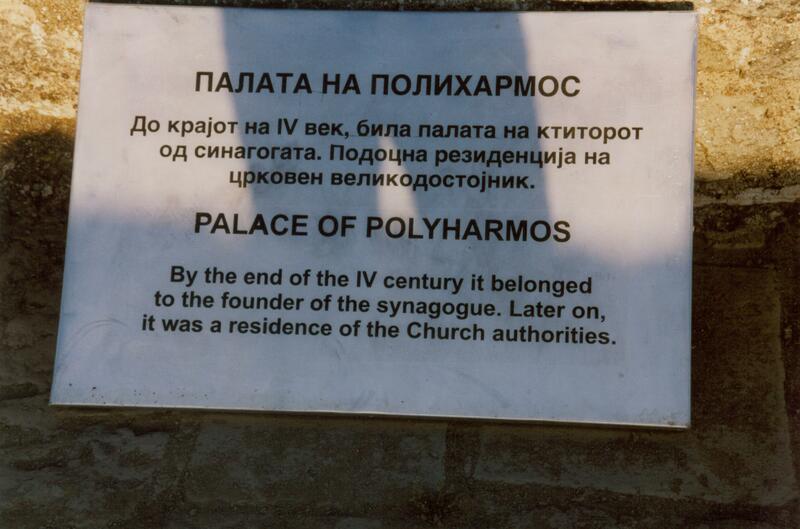 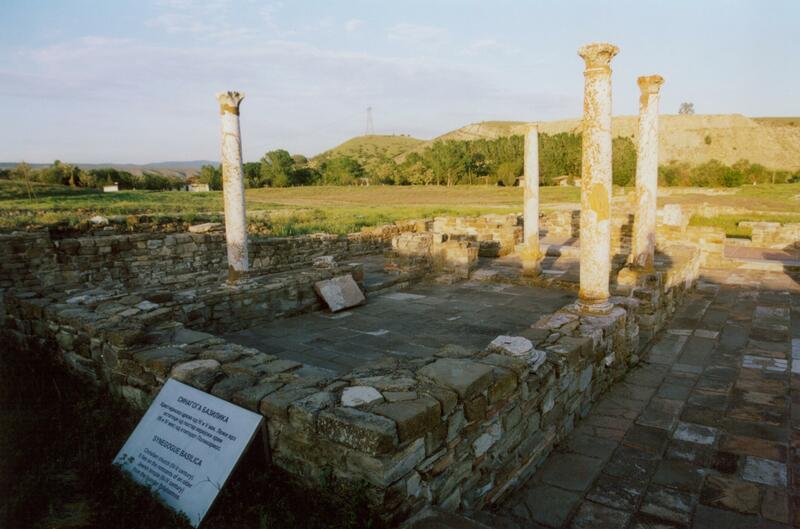 Emperor Theodosius I stayed in Stobi in 388 A.D. and there are still remnants of his palace. 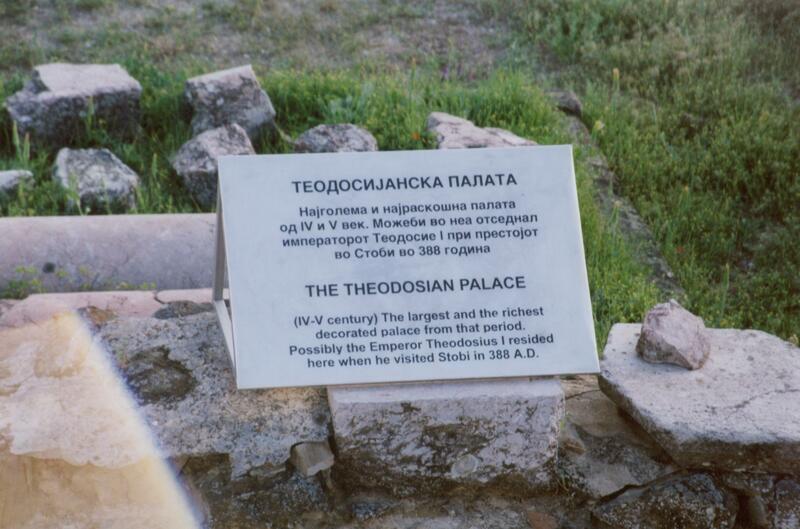 In 479 A.D., Theodoric, an Ostrogothic king, pillaged Stobi. 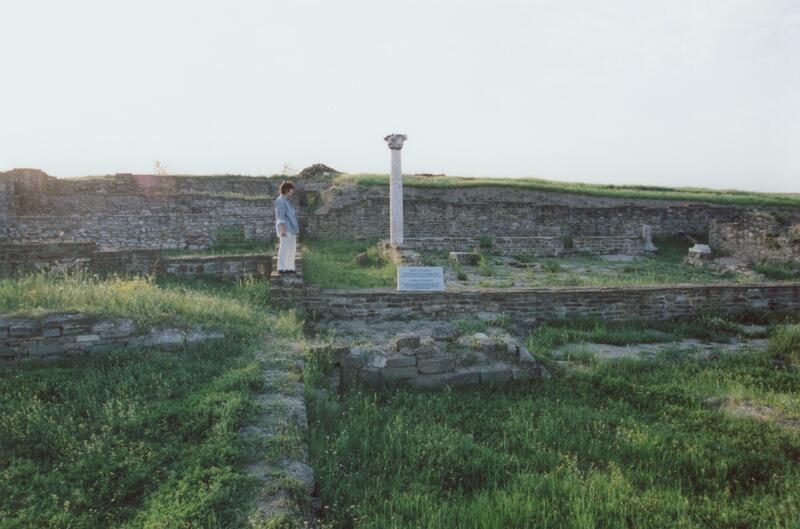 During the next 39 years Stobians reconstructed the city only to be devastated by a large earthquake in 518 A.D. During the next century, Slavic invasions crippled Stobi’s economy and would still face a few more earthquakes in centuries to come but was spared further invasions until early in the 11th Century. 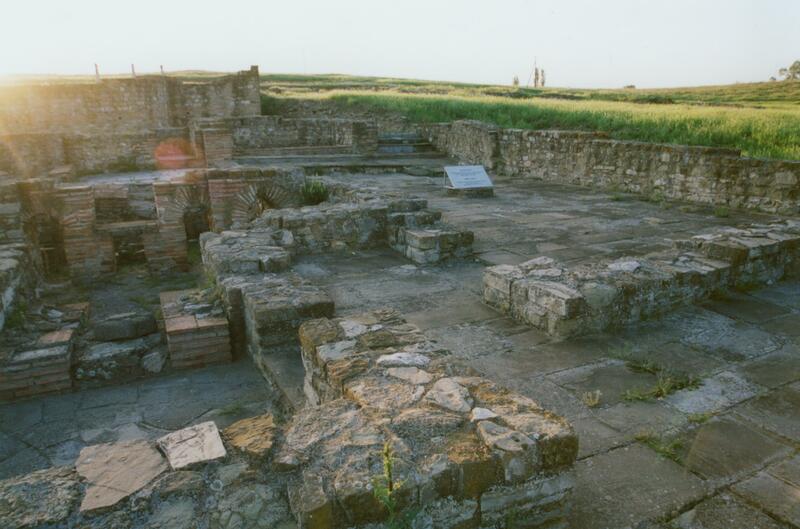 Stobi was last mentioned in documents in the 14th Century but it had ceased from being viable community in the 13th century. 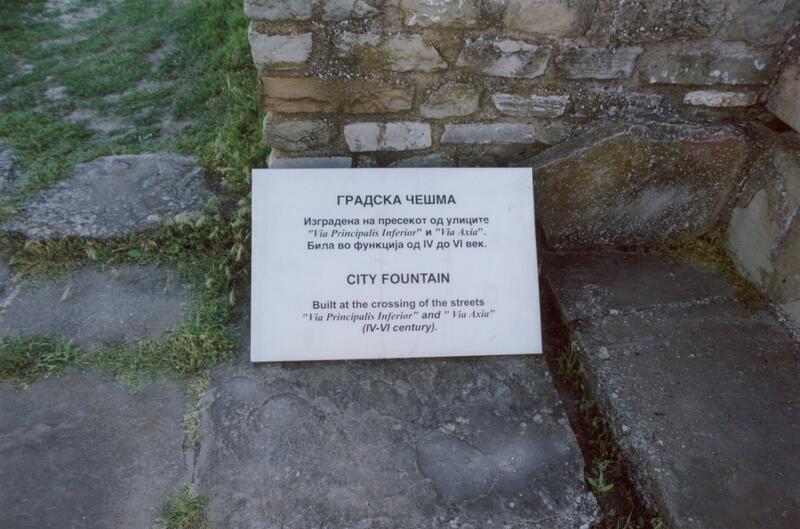 During the Roman Period, the citizens of the city enjoyed the privileges of self-governance and even minted their own coins. 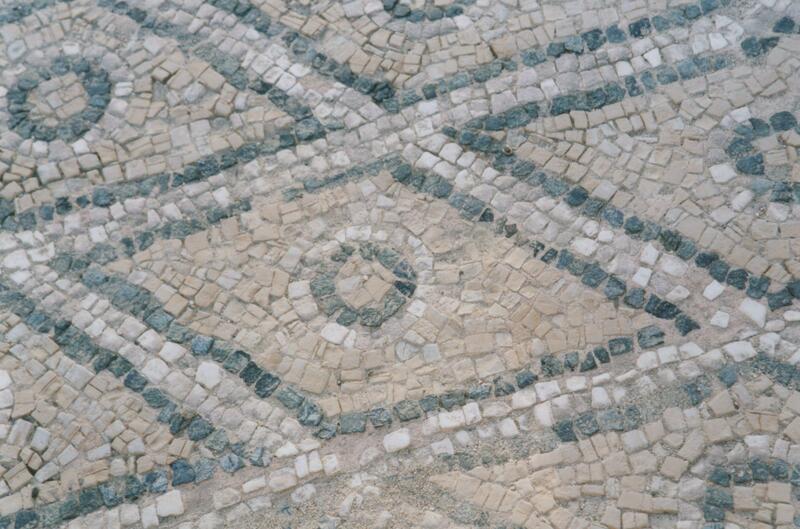 Many coins were struck in Stobi but good luck in finding any. 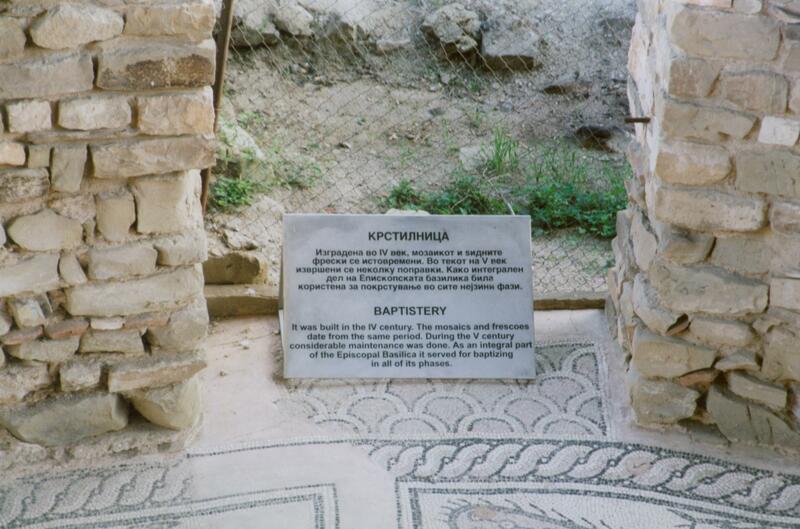 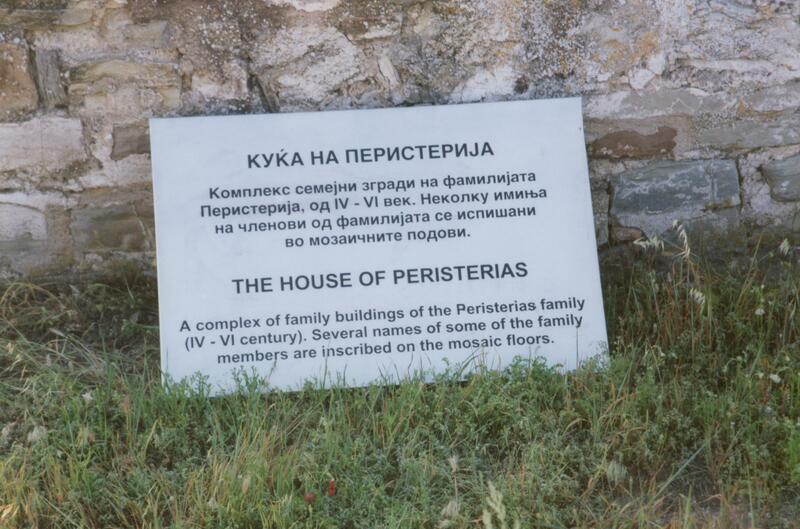 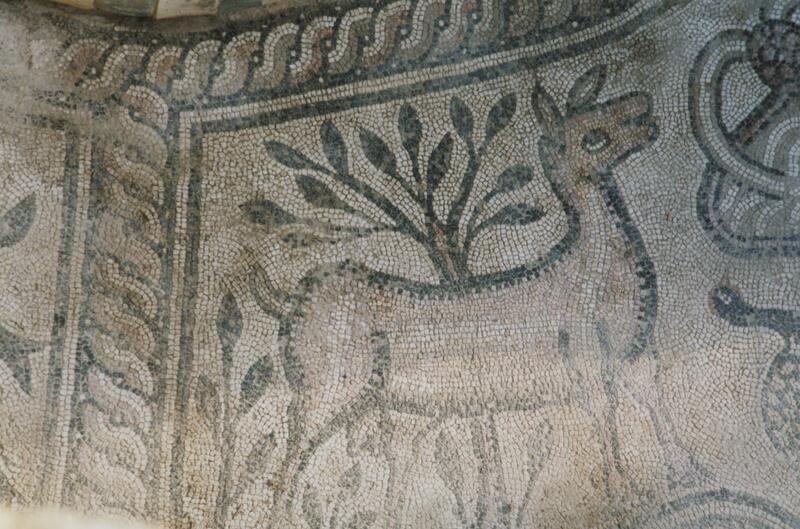 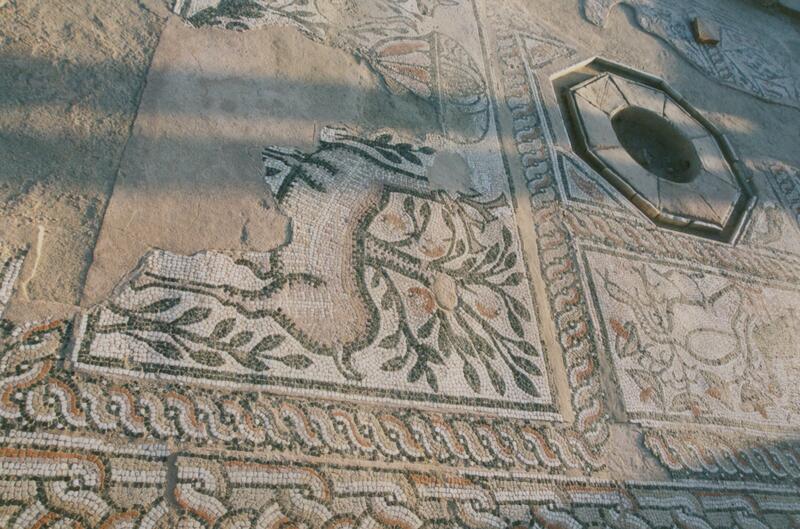 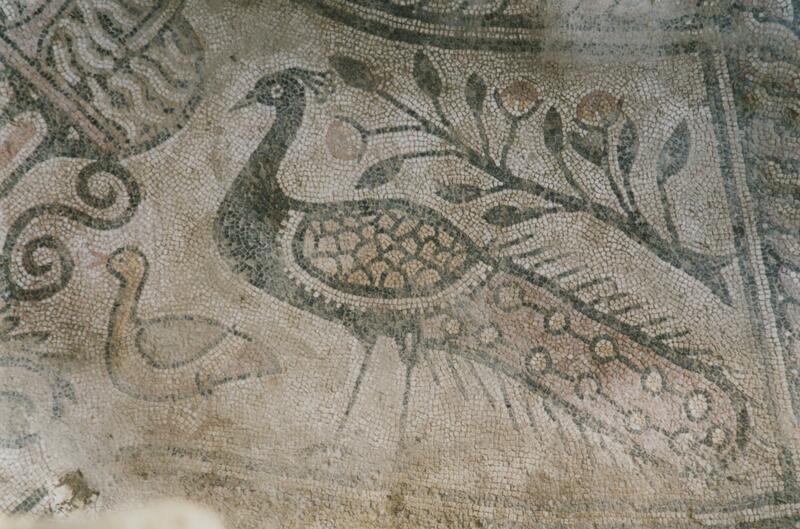 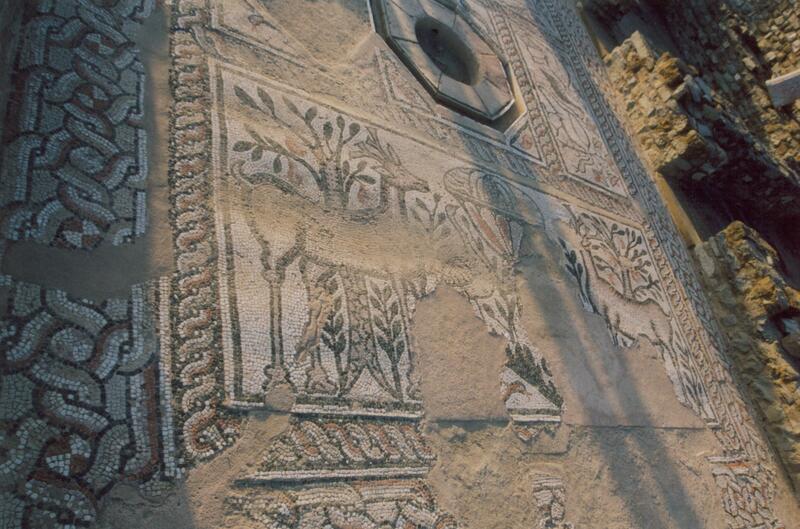 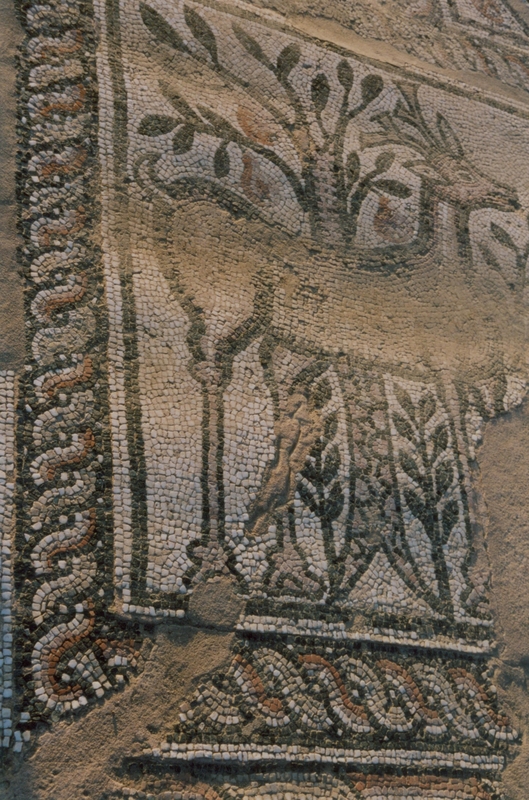 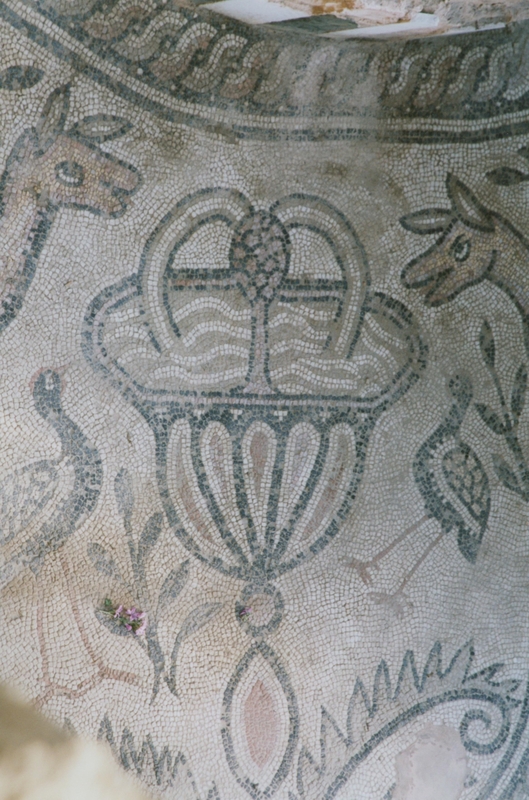 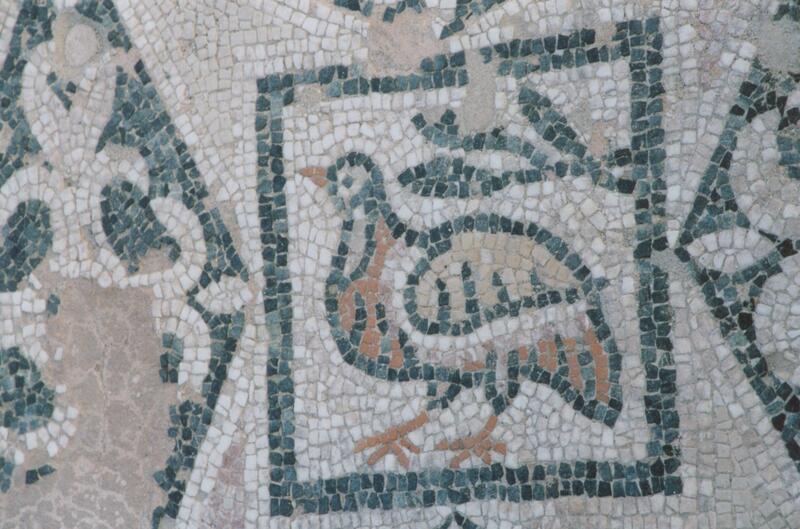 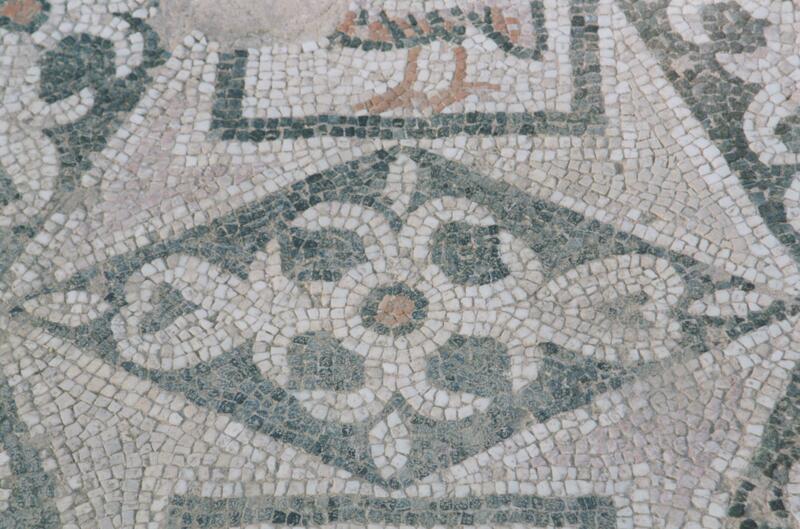 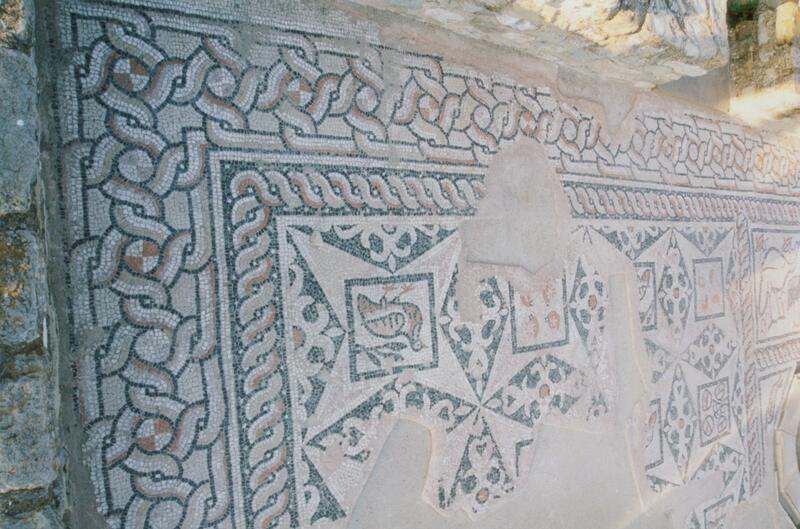 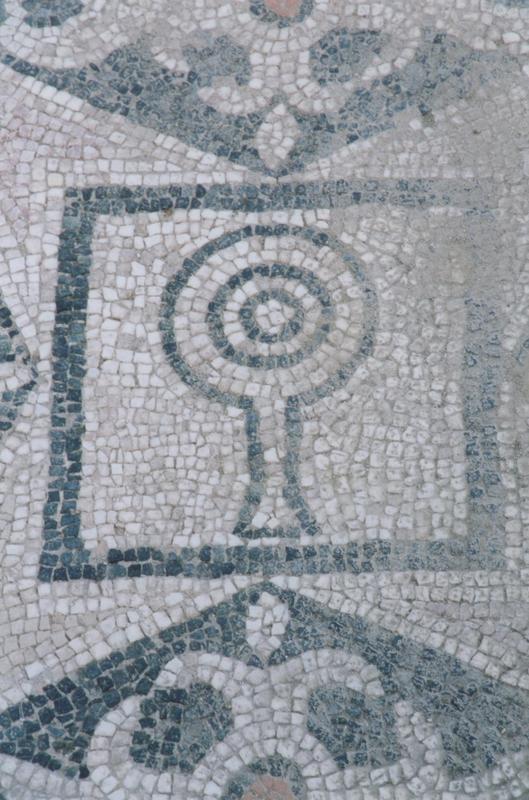 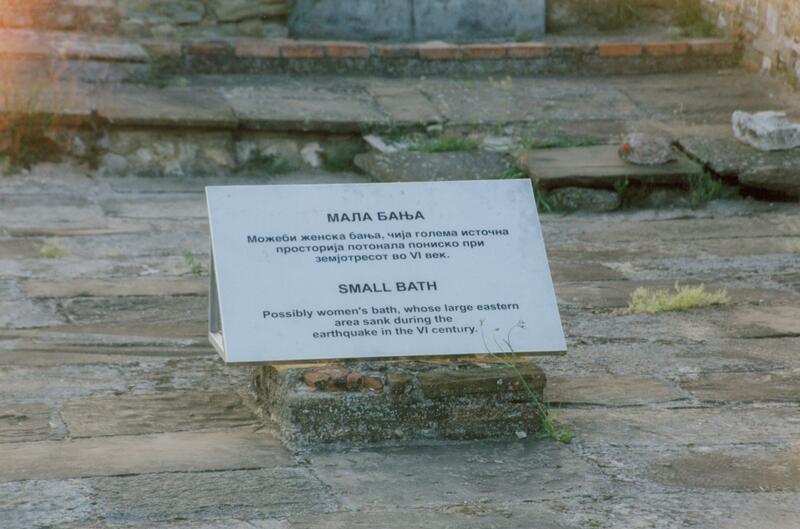 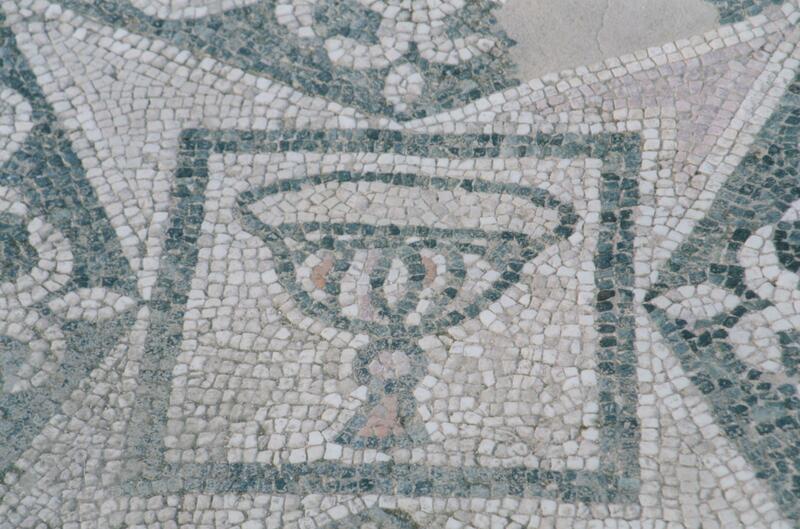 Actually, no unauthorized digging is allowed, but today’s visitor will find colorful mosaics, a theater, remnants of churches, synagogues, palaces and famous houses, baths, a baptistery, other religious artifacts and a very good glimpse into ancient architecture. 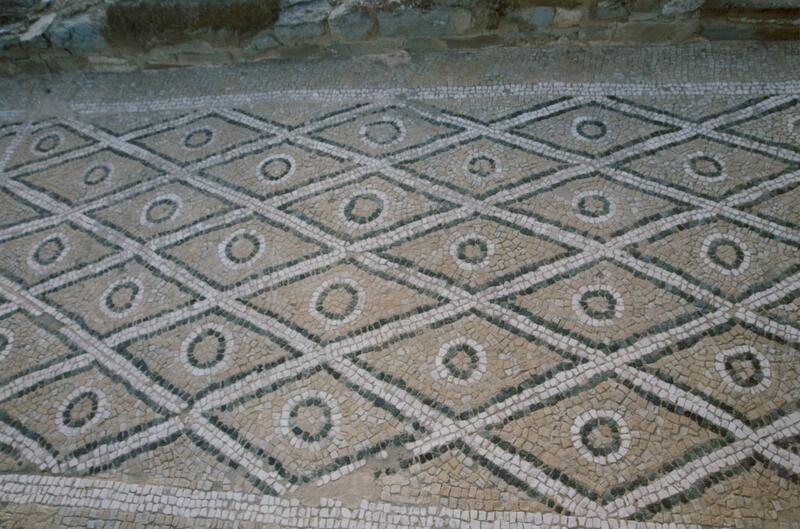 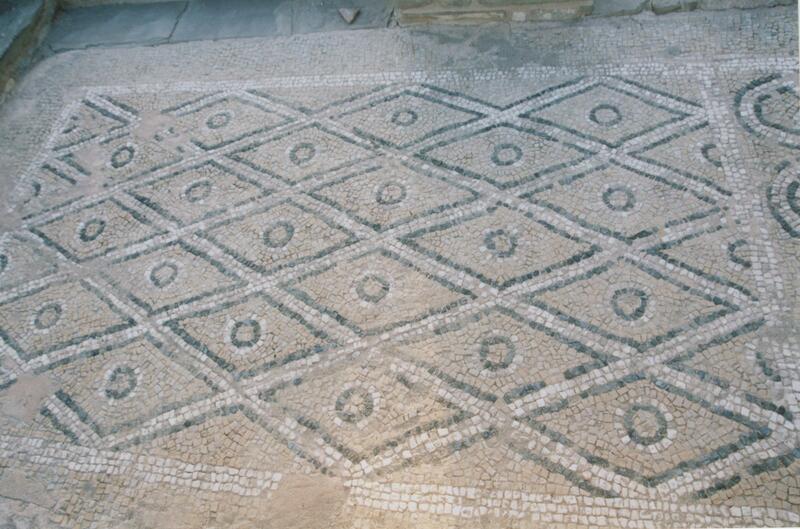 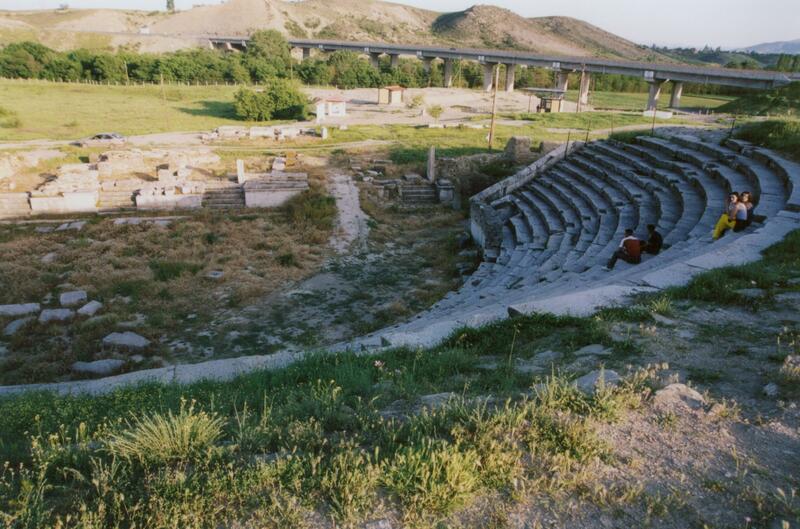 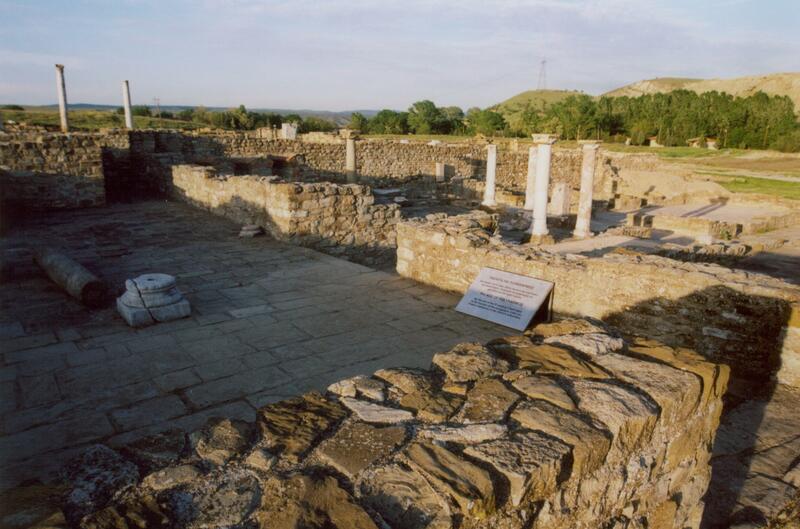 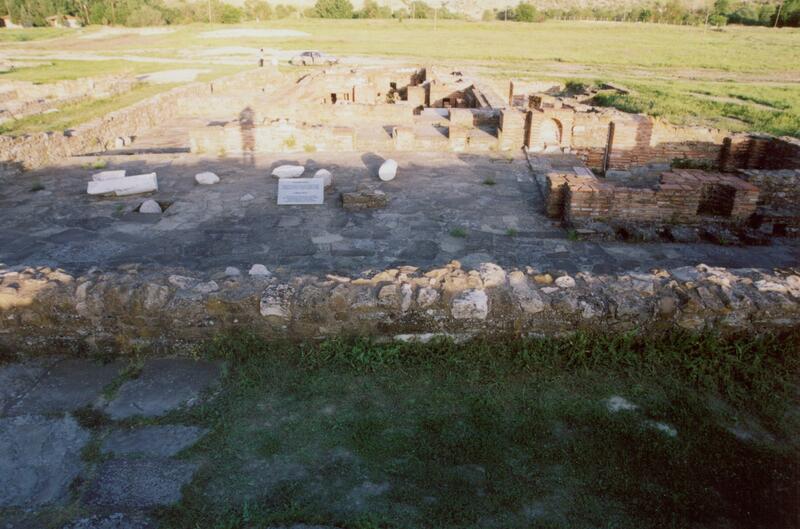 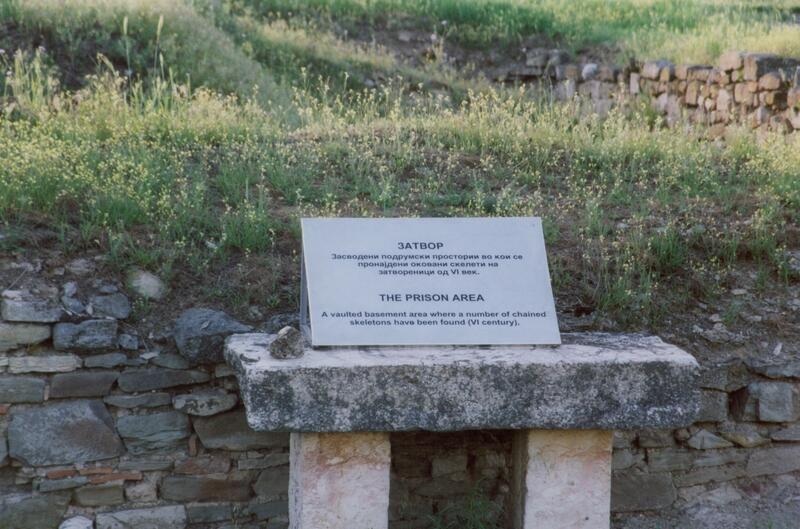 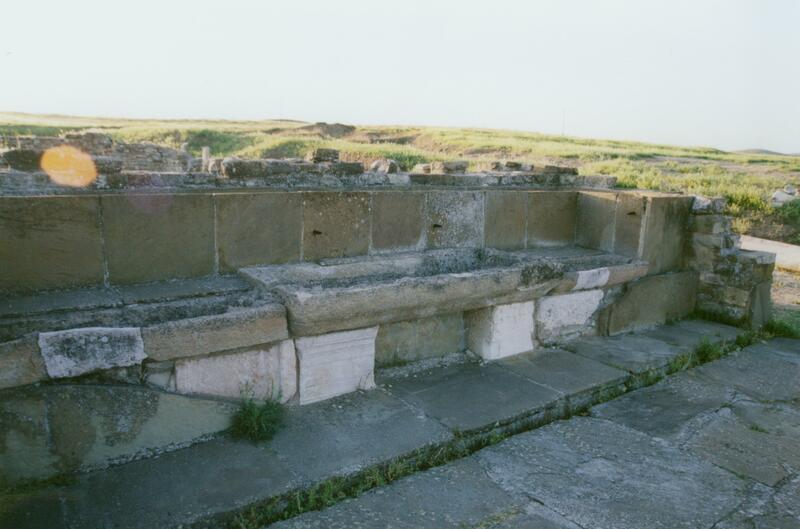 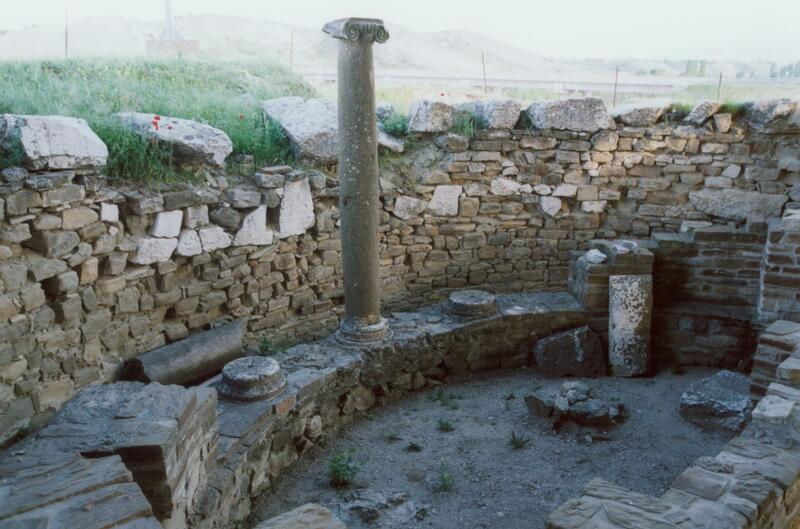 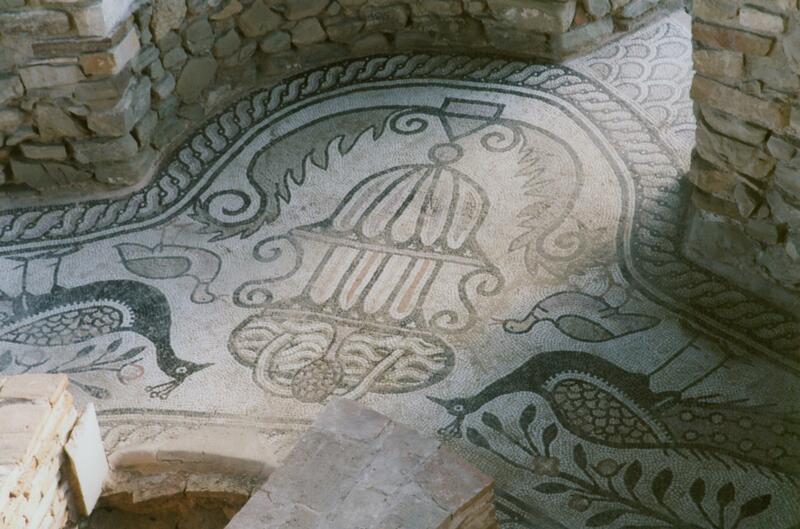 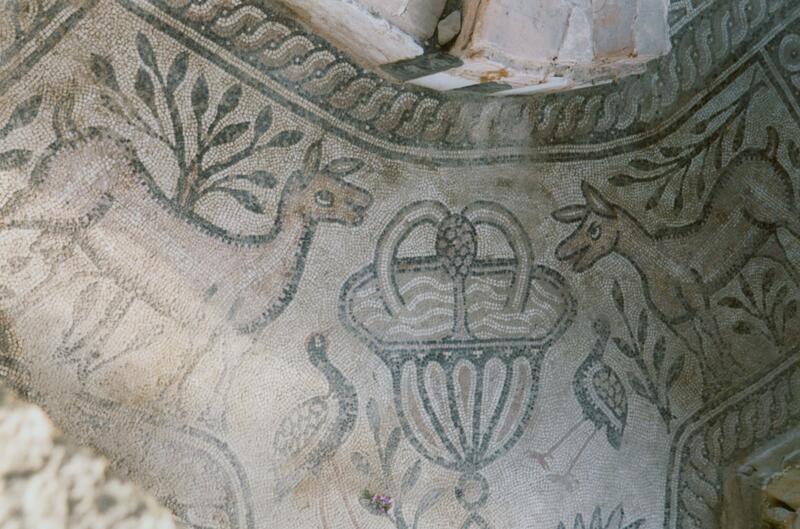 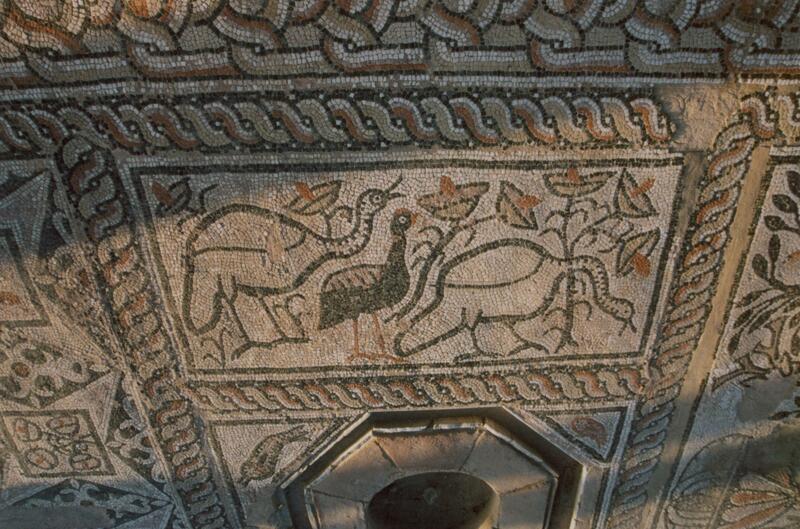 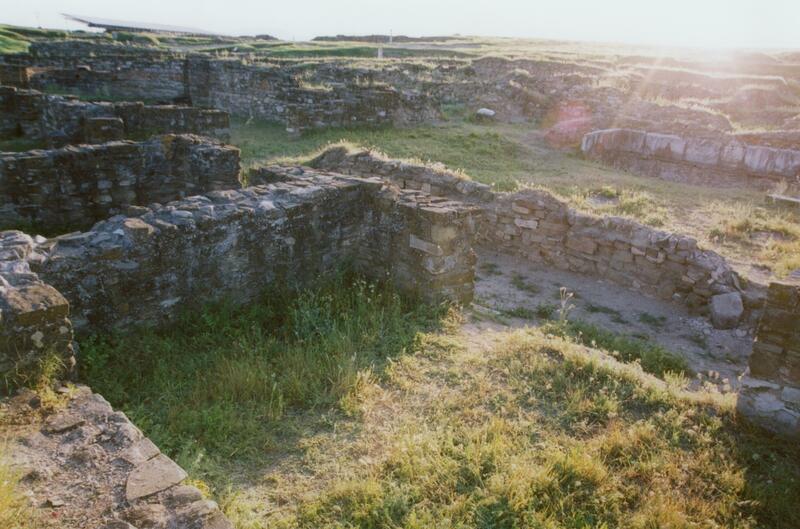 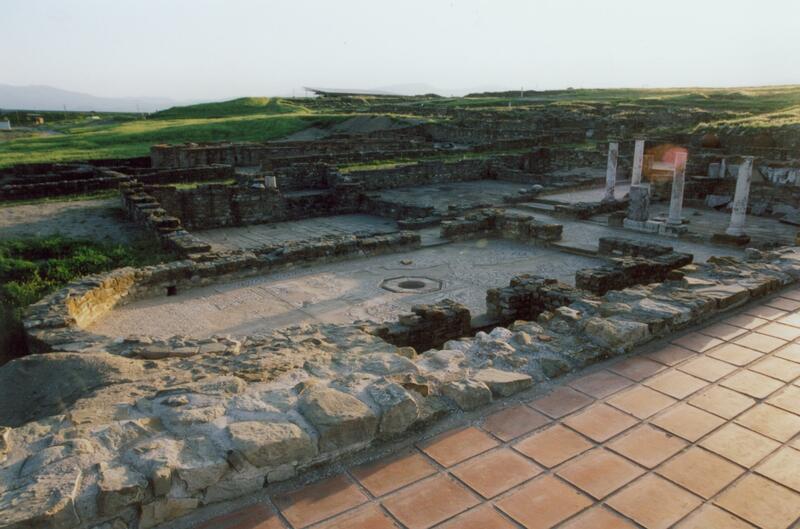 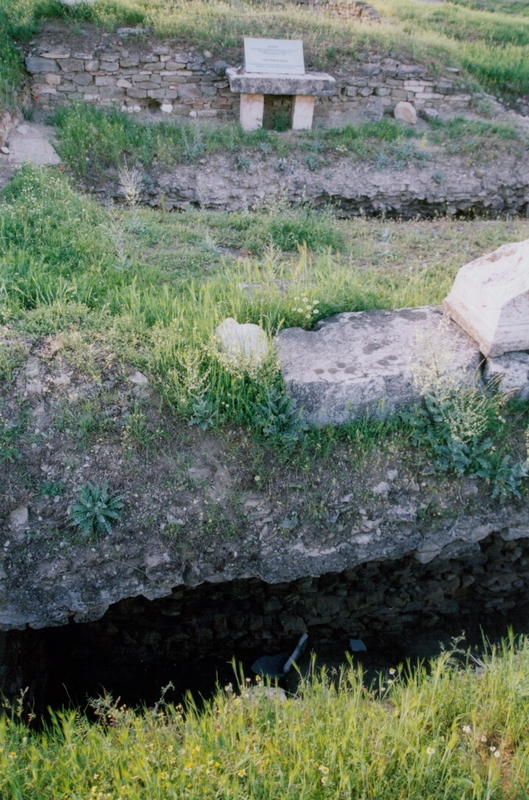 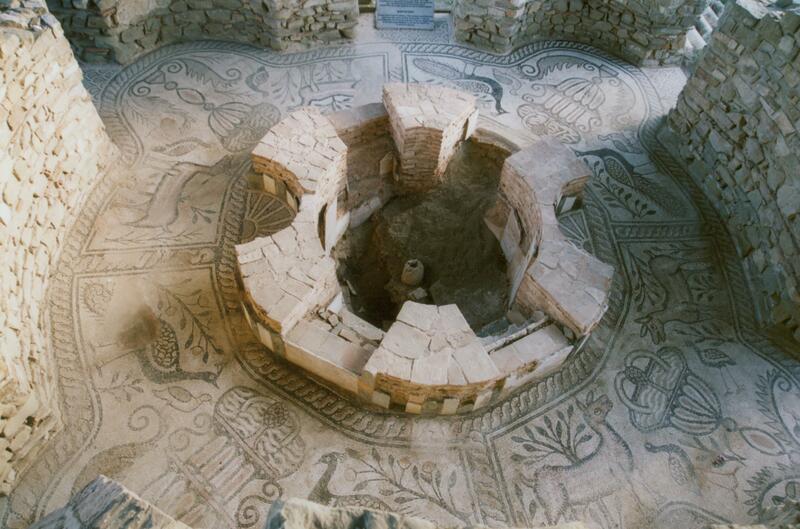 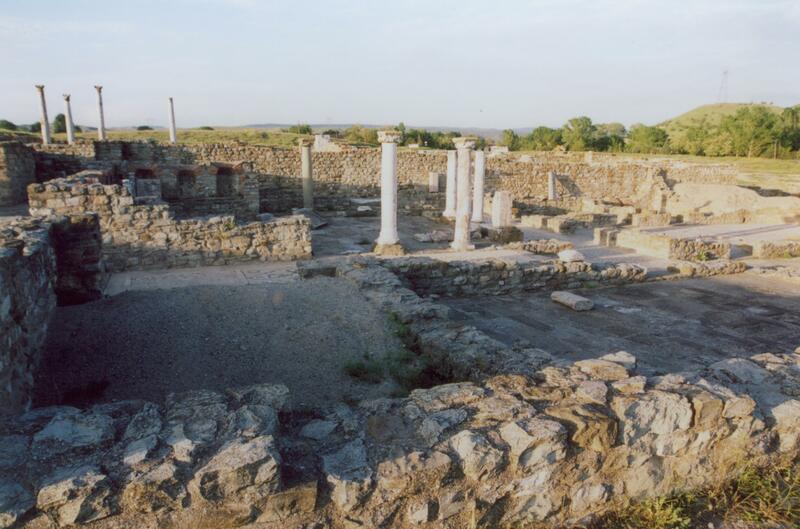 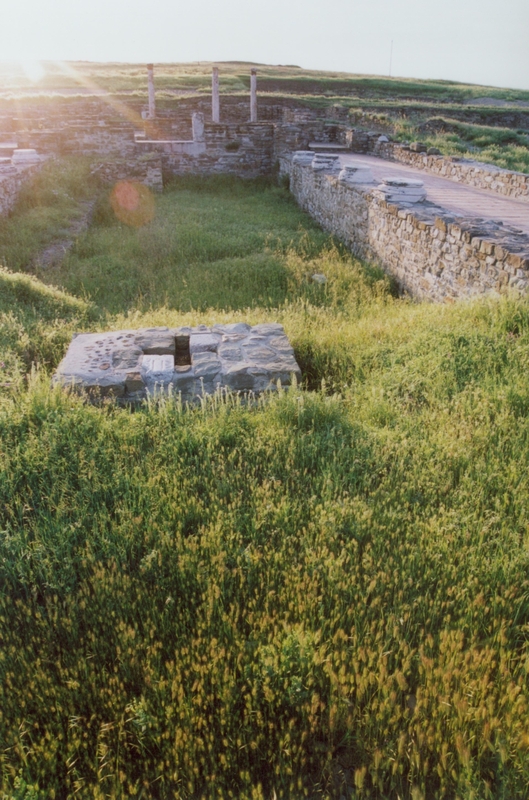 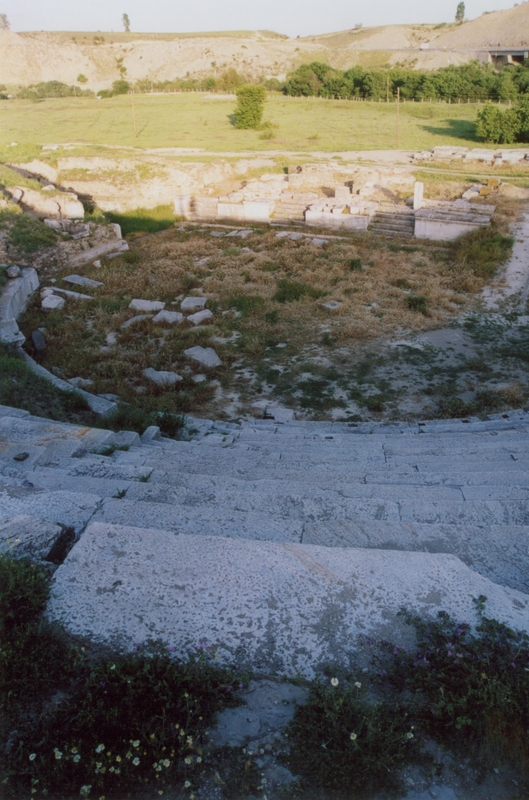 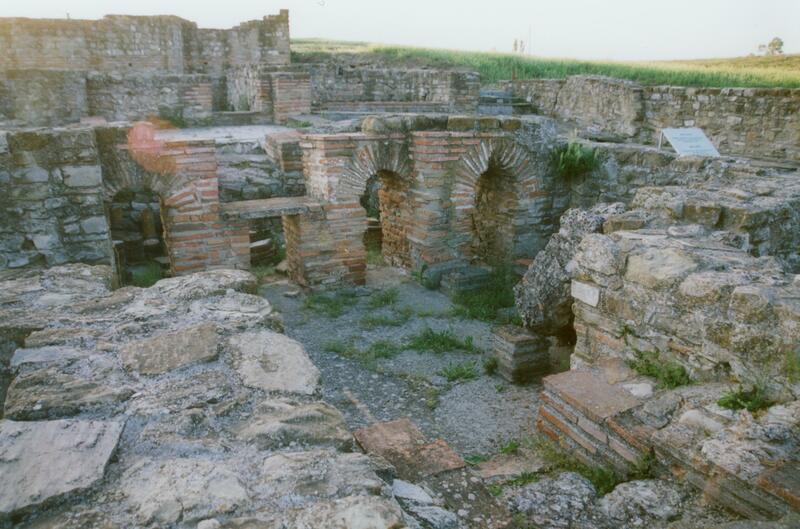 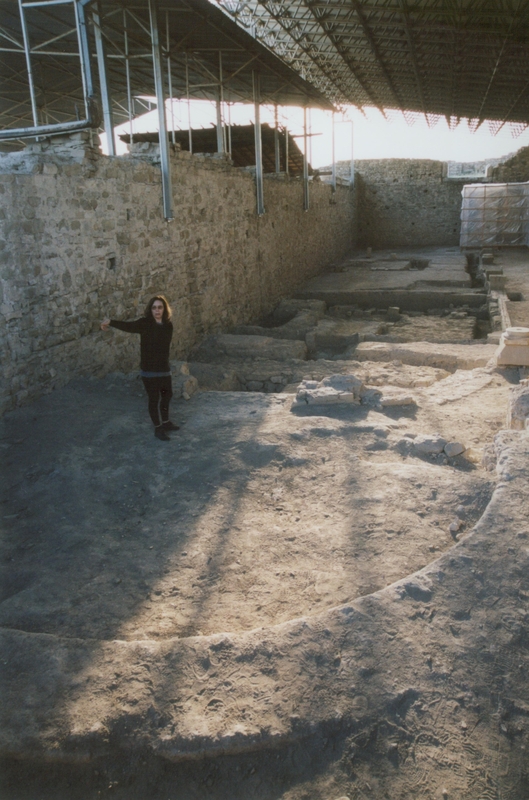 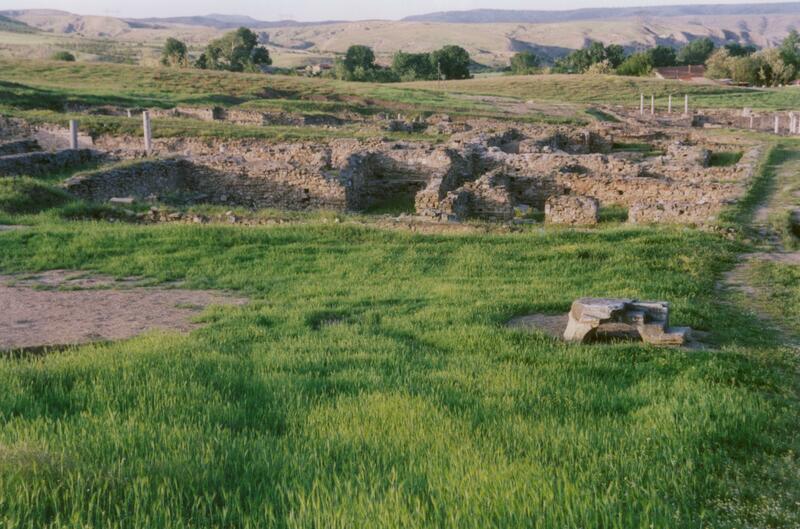 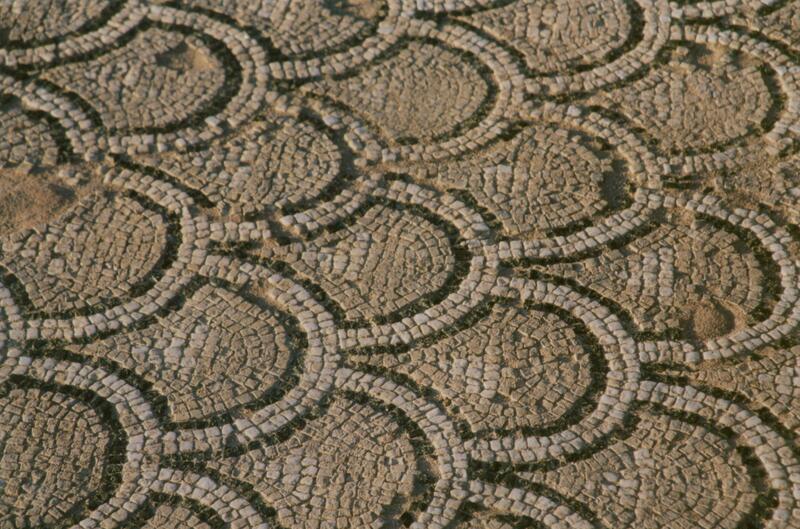 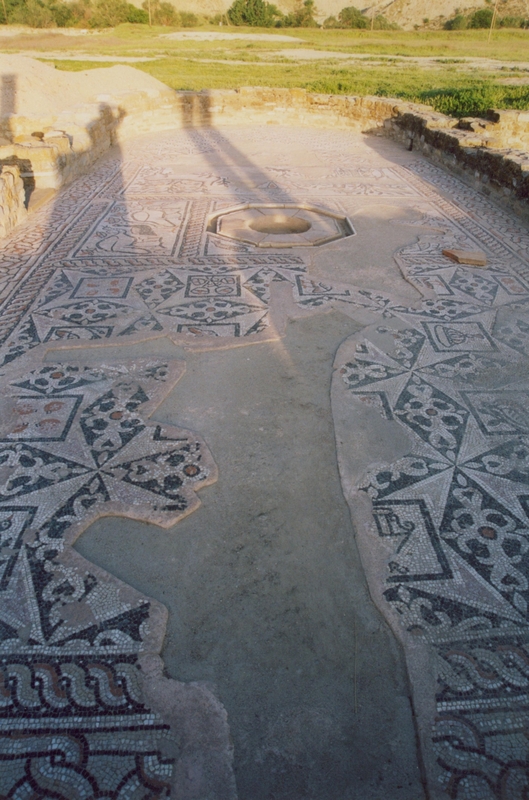 Other ancient cities in Macedonia worth visiting include Bargala (near Štip), Heraklea in Bitola and Skupi near Skopje.